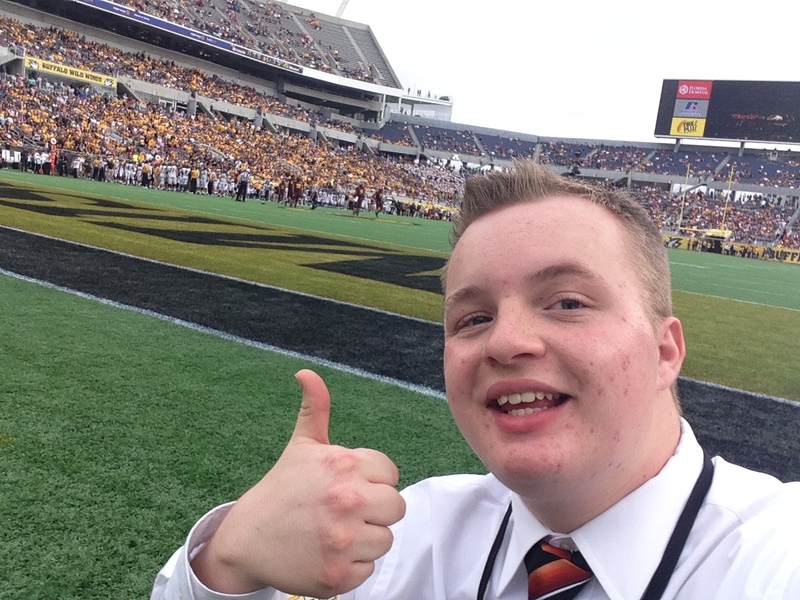 Being on the field for the Citrus Bowl is one of the reasons why I love being a journalist. Journalism might not pay well, but man does it have some cool benefits. If you’ve been following me on social media in the past week, you know that I had the pleasure of traveling down to Orlando to cover the 69th annual Citrus Bowl, a game that saw Missouri defeat Minnesota 33-17 to cap off an 11-3 season for the Tigers. The win was great. As a Missouri student, it was pretty nice to see Mizzou come out and win a big bowl game, especially with how the rest of the SEC played in the bowl season this year. But that’s not the point of this blog. What I want to talk about is how cool sometimes being a journalist can be. Not many people get to do what myself and my co-host, Mitchel Summers, did on New Years Day. 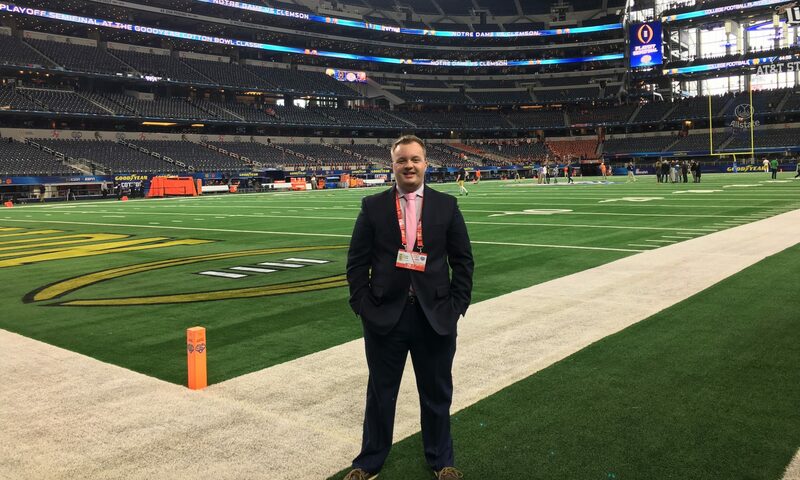 Getting to be on the field for such a high profile game like the Citrus Bowl was a truly incredible experience and is easily one of the coolest things I’ve been able to do as a journalist. And, on top of all of it, I’m only 20 years old. The fact that journalists at the game had been covering games like that longer then I’ve been alive is pretty incredible and really put in perspective just how fortunate I was to be able to cover the game for MUTV. It was more then just covering the game, though. It was traveling two days from Columbia to Orlando, spending 10 hours in the car one day and then seven hours in the car the next day just so we didn’t lose our minds trying to make the 1,100-mile drive in one day. It was getting to spend all of New Years Eve at Universal Studios, arriving at 8am just so we could avoid long lines at Harry Potter World. Then, staying until after midnight to celebrate the New Year in one of the happiest places on Earth. Mitchel and I were at Universal for 17 hours that day, and we wouldn’t have traded it for anything else. I digress, though. I’ve been doing what I call “real world journalism” for four and a half years now. Since my sophomore year of high school, I’ve either been writing, broadcasting, hosting, or filming sporting events at both the high school and college level. In high school, I spent three years writing for the Morris Daily Herald and two years broadcasting with christiansportsnet.com and ihigh.com. When I got to Mizzou, I was able to work for MUTV, filming different sporting events and making on-air television appearances. This led to me being selected as a sports executive, allowing me to co-host my own show with Mitchel and the opportunity to cover football games like the Citrus Bowl. Needless to say, I’ve been able to do and see a lot of things in my times as a journalist. There is a lot of stress in the world of journalism. Whether it is trying to write a story on deadline or covering a breaking news story, the business tends to be a highly stressful working environment. The emotional high that stress tends to create, though, is what keeps journalists like myself going, willing to sacrifice any financial benefit to do what we feel is right. When Mitchel and I made it back to Columbia on Saturday afternoon, it took us about seven hours to complete our four-minute highlight package. From importing the clips, to finding the perfect clips to use, to doing our voiceovers, and every other little thing in between, making the package was time consuming and a long, tedious process. So yes, there may be a lot of stress involved in journalism. Many hours of sleep have been lost not only by myself, but every other journalist as well. Moments like the Citrus Bowl, though, are what make it all worth it.